Last week Paul and I decided that it was time we did another little mini-tour. No, we didn’t do an overnighter up the Putty like we usually do, we decided to go west instead. 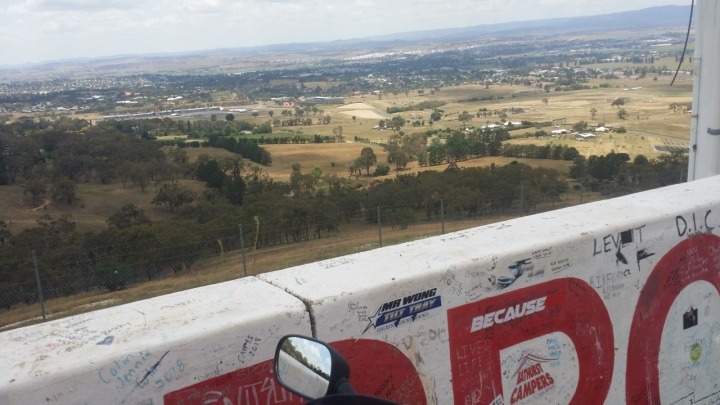 So, on Wednesday morning we set out, destination Bathurst, the motor racing Mecca of Australia. As the aim with these rides is to avoid the highways as much as possible, we started out by heading up the Pass. From there it was the usual run along Pearson’s Lane and Myra Vale Road, taking care to observe the many gravel wash-aways from farm driveways and fallen tree bark and leaf litter. 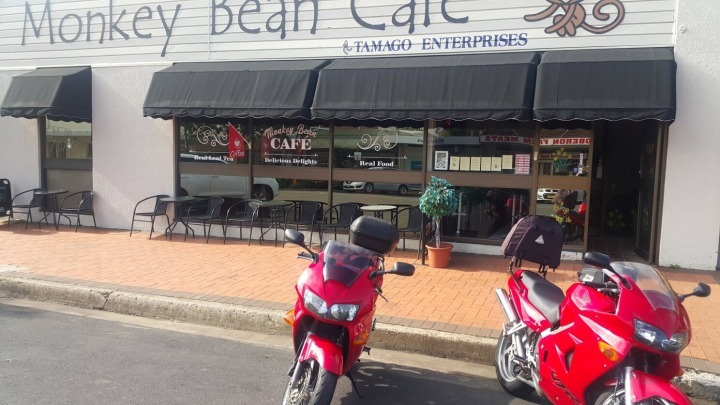 At Fitzroy Falls we turned right instead of the usual left and headed across to Bundanoon and Penrose before pausing at Wingello Village Store for breakfast. The aforementioned store is exactly what the name suggests, a good, old-fashioned local store selling everything from a pin to an anchor and also incorporating the local Post Office and a damn fine cafe run by a lovely family. Well fortified for the road ahead we made our way out to the Hume Highway, coming in just north of Marulan. 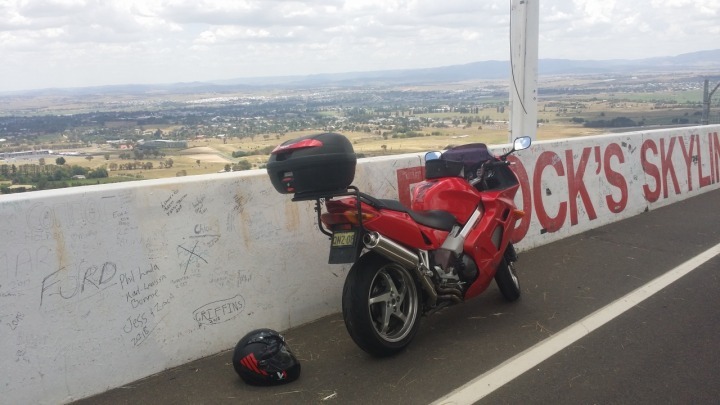 Unfortunately, these days it is almost impossible to avoid the freeways altogether so it was a short transport stage (25kms) along the flat-top till we reached Goulburn from where we headed north again towards Crookwell. 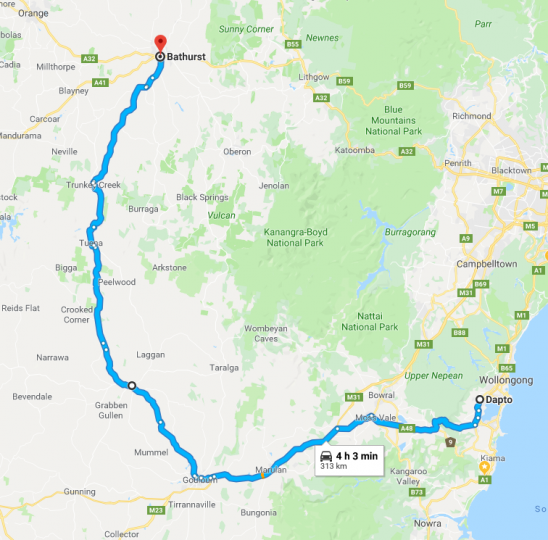 As you can see from the map, the aim was to get to Bathurst, the interesting way. The road between Goulburn and Crookwell is typical NSW country highway, wide, and filled with lots of long, sweeping corners. 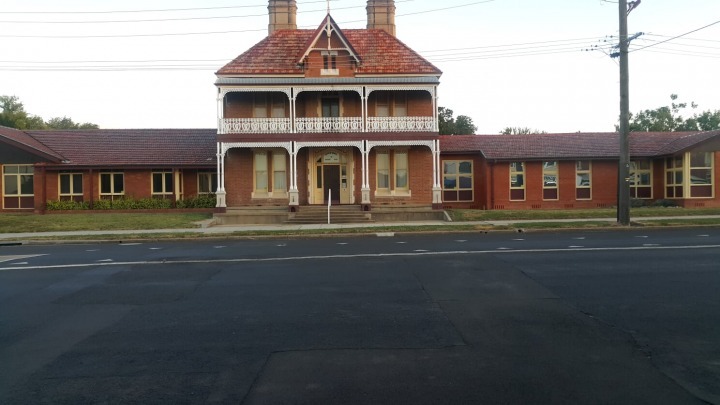 Once Past Crookwell it narrows down to a typical NSW “C” Road, a bit tight, a bit bumpy and filled with a myriad of challenging corners, what a hoot. 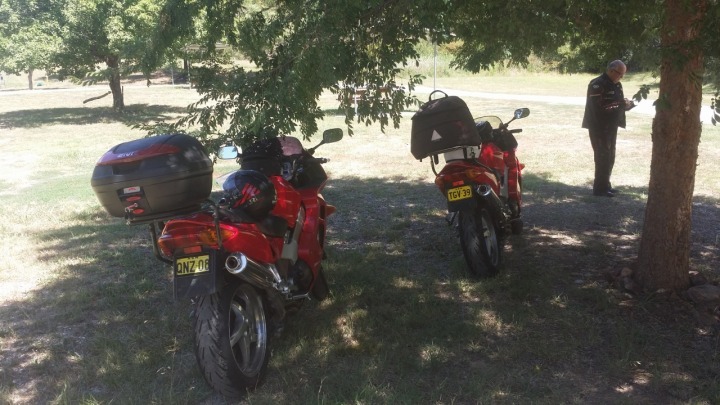 The day was hot and so a pause at Tuena for a drink and some shade in the local park before we were off, turning right at Trunkey Creek and coming in to Bathurst just near the bottom of Conrod Straight. Most of you will know that the speed limit around the iconic mountain track is 60km/h and that it is rigorously policed so we did two laps at the posted limit, marvelling as I always do, at the way that the track has been made completely unsuitable for motorcycles. We stopped at the top on our second lap for the obligatory photo opportunity and to remember the last time that I had been there, sprinkling the ashes there of my good mate, Les Randles, who passed away from cancer some years ago, too young and sadly missed. The view from the top is certainly spectacular. We had made good time and, by the time we did the tourist bit and checked in at our motel we were still much too early for the customary 1400 room availability. Nevertheless, the owner let us in early and we got changed into some street clothes and wandered across the road to the 7-11 for a coffee ($2 a cup and only $2 for a muffin if you bought it with the coffee). Outside in the shelter of the awning were come large tables and benches so we sat there. At the next table were three guys similar vintage to us so it didn’t take long before we started talking bikes and bike racing at Bathurst and the memories of Gregg, Warren, Takai, Crosby and others started being shared. I don’t know how long we sat there but it must have been well over an hour and time well spent it truly was. We had booked online so we didn’t realise till we got there that Stewart Street, where the motel was located, was actually the Great Western Highway. I was concerned about the noise as the semis were rolling by, but it didn’t end up being a problem. We wandered down to the local pub for a very nice bistro dinner and a long walk down the main street of town to settle dinner and also stretch out after a day in the saddle. 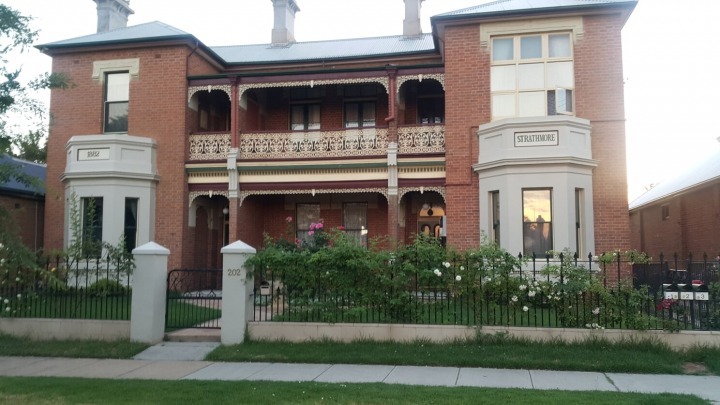 Bathurst is a beautiful old town, filled with wonderful examples of Victorian architecture and the walk was filled with “look at that” moments. As always it was an early night with the air-con doing a sterling job of keeping the room pleasant. It looked like being another hot day as we hit the road in the morning with the ambient gauge on the bike showing 24 degrees and rising. 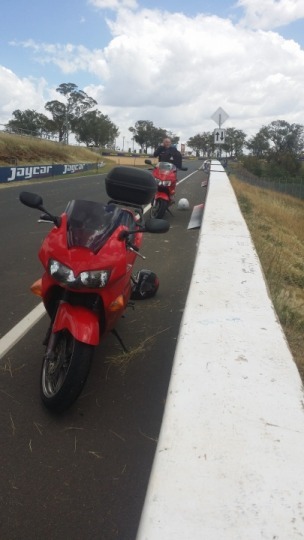 A 50kms transit stage was required to get us to Lithgow and out turn-off. Thankfully the RMS has done a great job installing lots of overtaking lanes and what traffic we encountered was easily sorted. However, as we climbed Mt Lambie the temperature started to drop (down to 17 degrees) and we ran up into some mist. This was to be pretty much the pattern for the rest of the day. 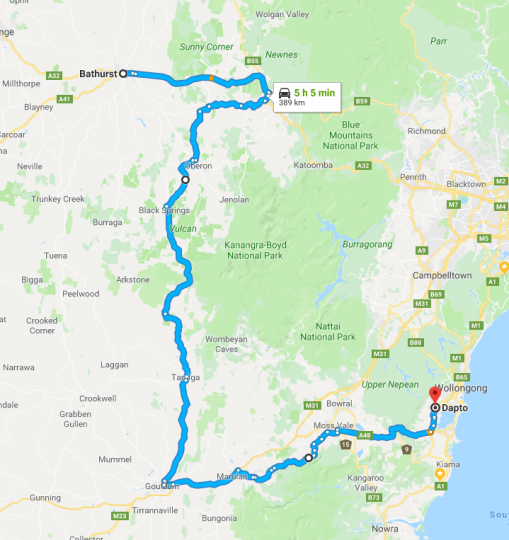 Our plan was to duplicate the last time we were there with a run through Oberon, down the Abercrombie, Taralga, Goulburn, Marulan and home across the back way, again through Wingello, Penrose and down the Pass. The road from the highway to Oberon is fabulous, a wonderful switchback of ups and down and rounds and rounds. If you haven’t done it, you should. Caution was necessary as we ran through quite a few banks of fog and the road was quite slippery. At Oberon we stopped for breakfast and somehow contrived to stumble into a cafe that was even more hipster than Mr O’s at Cessnock. 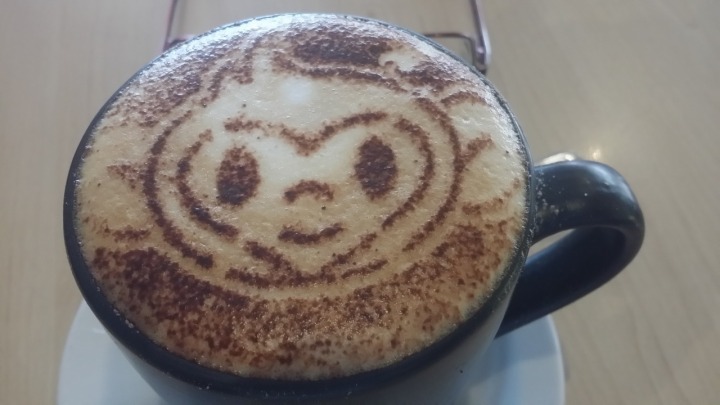 The Monkey Bean Cafe prides itself on selling “real” food. Quite what this means I don’t know but there was plenty of reality about the French Toast and the coffee was not only delicious but whimsically decorated as well. Oh, and the sticker on the window was a nice touch, as well. 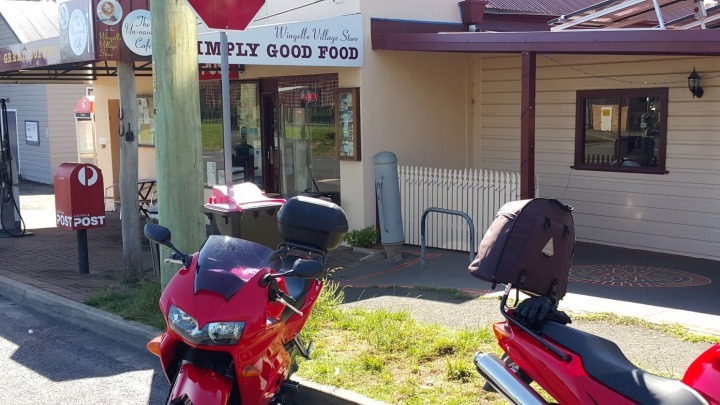 We monstered the sometimes tricky run down the Abercrombie and up the other side and were ready for a milk shake by the time we reached Goulburn. 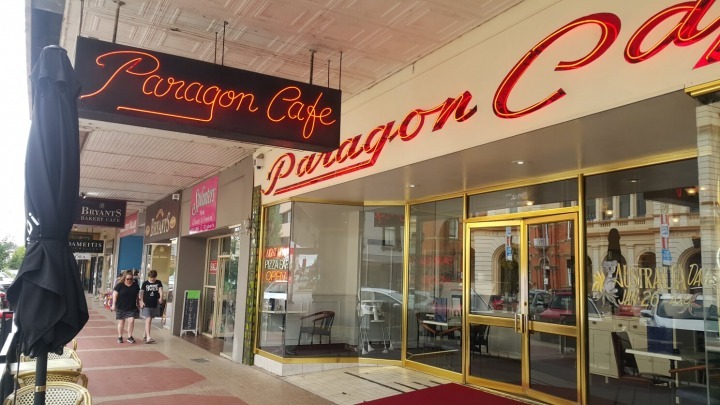 One of my favourite eateries, the iconic Paragon Cafe in the middle of town, has undergone what looks to have been a VERY expensive make-over but the milk shake was still good and the prices haven’t changed. By now it was uniformly cold and the mist was threatening to turn into rain at any moment so it was fingers crossed (mathphorically) as I had neither wet weather gear nor even the cool-weather liner for my summer mesh jacket. 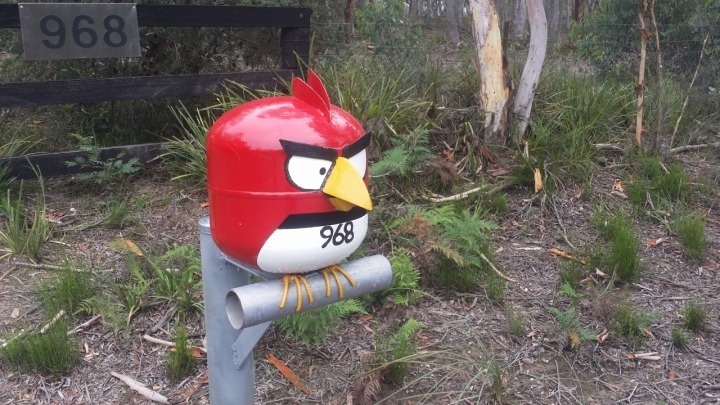 We had to stop just outside Wingello, however, to photograph something which I believe will become a local attraction. 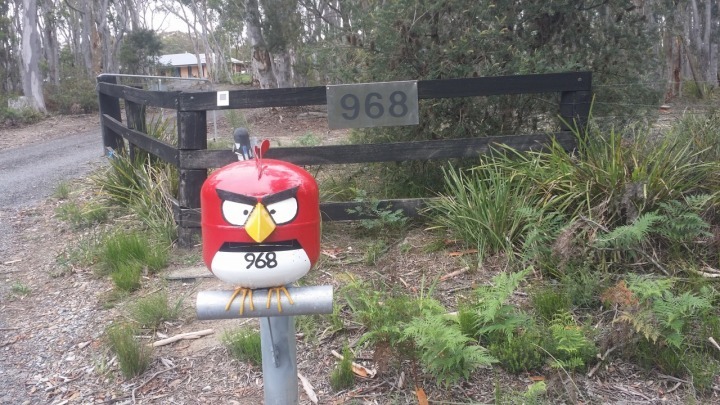 Isn’t it wonderful what a clever person can do with a 9kg gas bottle and a welder? By the time we got to Robertson the fog had well and truly closed in and I could feel that the neck and shoulders of my T-Shirt were now wet but we were in sight (sort of) of home so it was just a matter of toughing it out. A quick stop at the Pie Shop to chat with the locals and then down the Pass for home. As expected, we dropped out of the cloud line about half way down and the last part of the trip was accomplished in sunlight though the temperature didn’t really rise. Not a long trip by any means, about 700km or so in two days but on roads that required a great deal of concentration so it seemed longer. 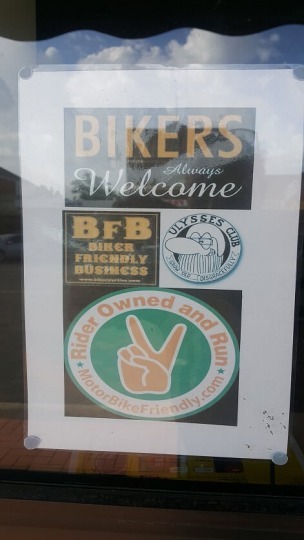 I may have noted it before, but I love motorcycle touring.